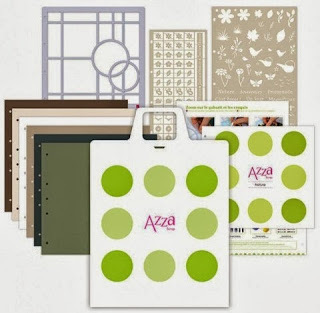 AZZA have just released a new product – wonderful idea for a gift with Christmas coming up! The kit comes in a Folder which is your album. 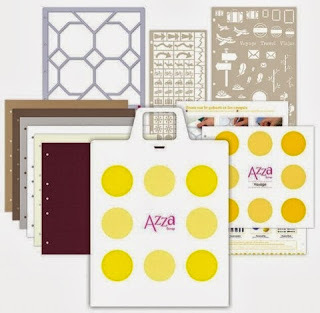 Inside is one AZZA template, 6 album pages and a large sheet of lace figurines and a large sheet of Decorative stencils. 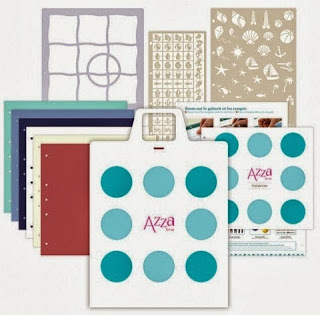 For new Clients who purchase this Kit – they can go home and begin to scrap right away.